When I am doing my grocery or is buying anything at the mall. I always look for the Readers Digest Trusted Brand seal. 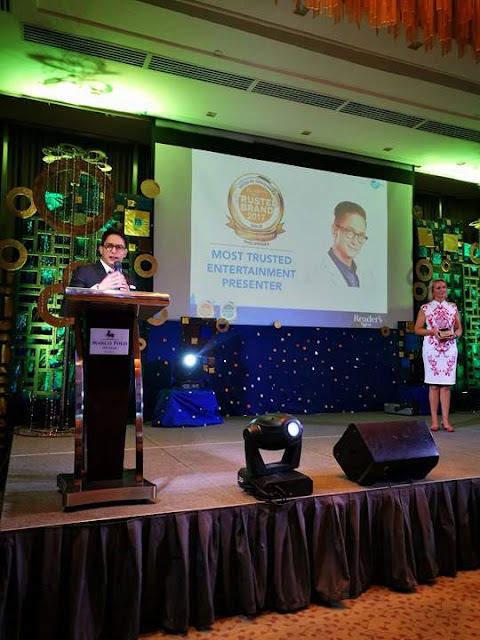 It guarantees that what Im buying is of good quality and earned the trust of Readers Digest. 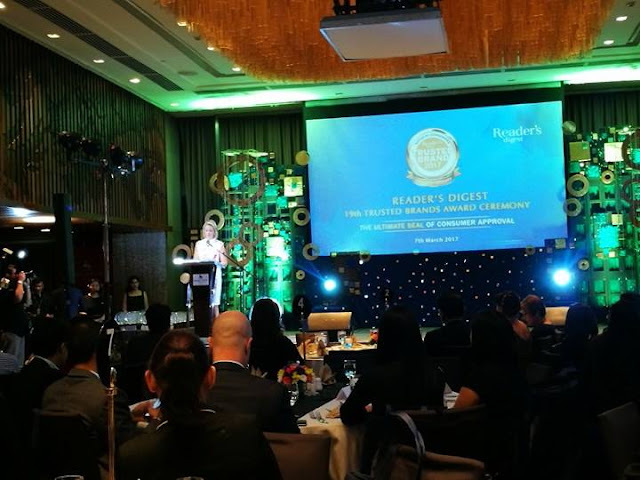 It is that time of the year when Reader’s Digest (RD) Trusted Brands awards and recognize the brands and services Filipinos patronized. 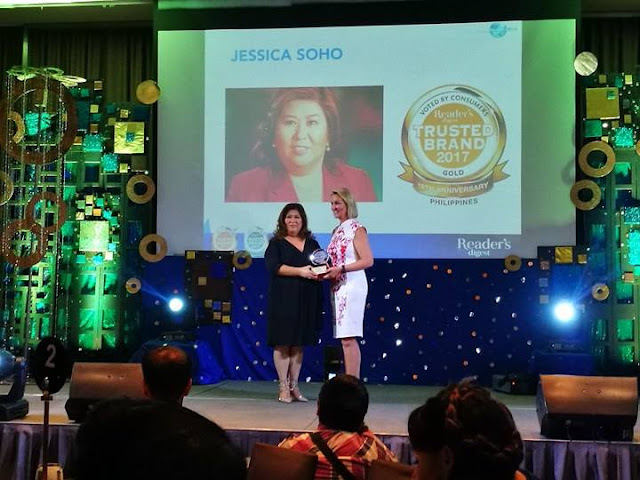 Reader’s Digest (RD), one of the longest-running and most read print publications in the world, today revealed the winners of the prestigious Readers Digest Trusted Brands 2017 Awards at an exclusive ceremony held March 7, 2017 at the Marco Polo Hotel in Ortigas, Pasig. 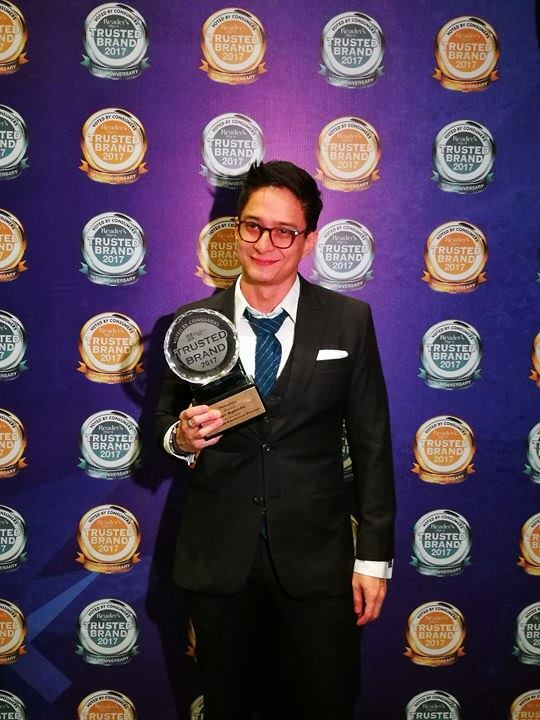 The award goes to Ryan Agoncillo for the Most Trusted Entertainment Presenter. 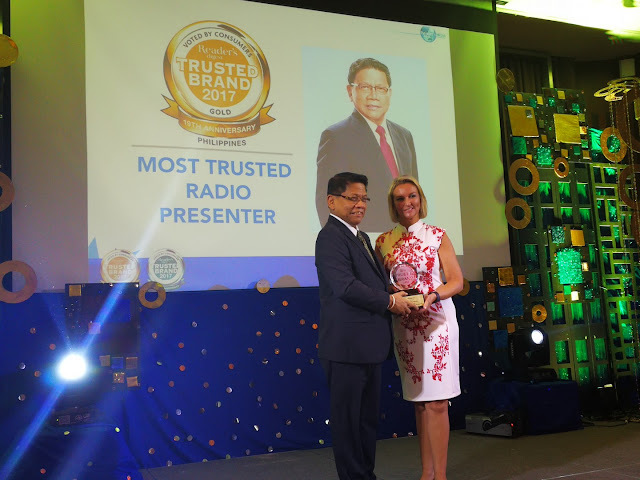 Mr Mike Enriquez for the Most Trusted Radio Presenter while Ms. Jessica Soho bags the Gold Award for the Most Trusted News Presenter. 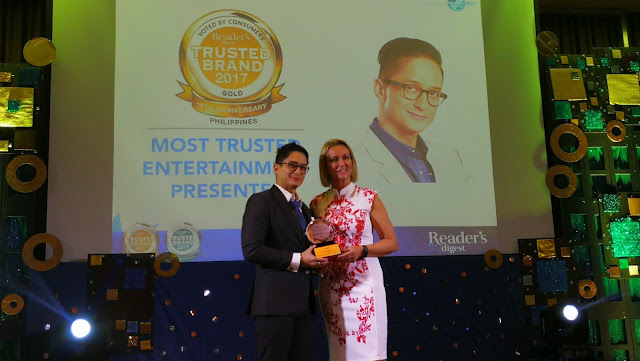 For the 2017 Trusted Brand Survey, Readers Digest commissioned global market research company CATALYST. Approximately 8,000 individuals were selected across 5 of Asia’s key markets such as the Philippines, HongKong, Malaysia, Singapore and Taiwan. 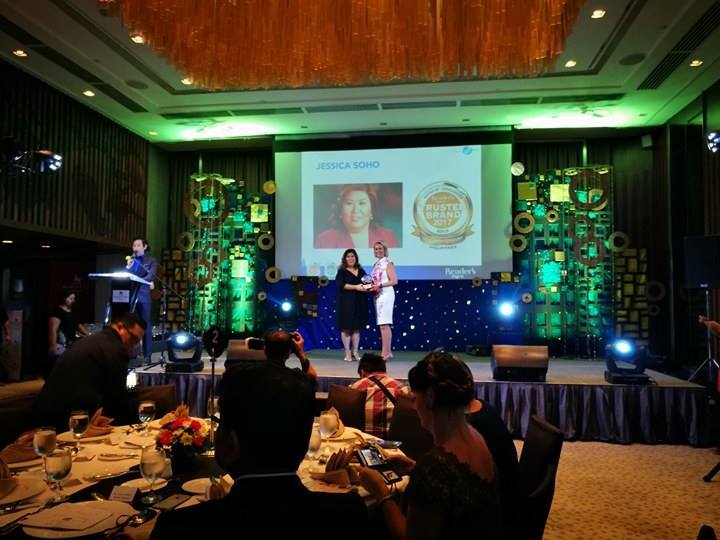 The survey covers 50 categories of products and services across a wide range of industries. 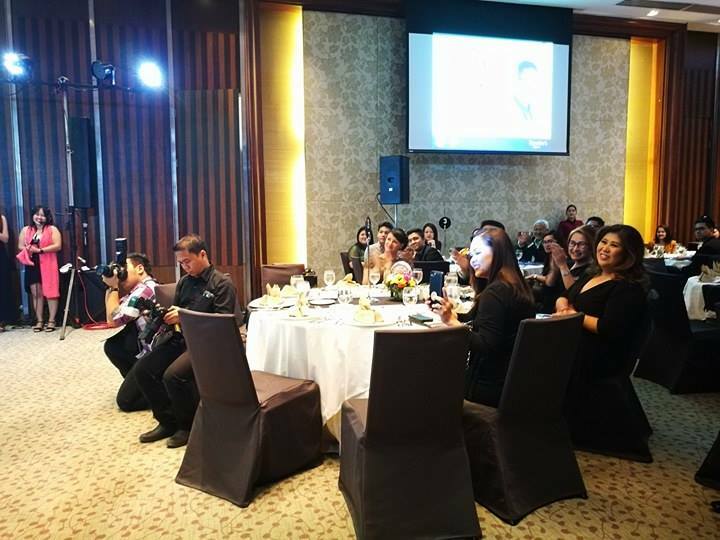 Around 1200 respondents were surveyed in the Philippines. Half were subscribers to Reader's Digest, while the remainder were selected to reflect the demographics of the general population. 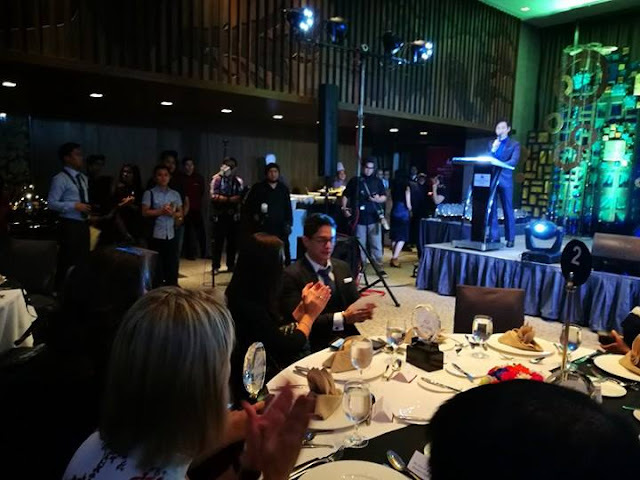 Platinum award winners included ABS-CBN and GMA Network (TV Network); Boysen (Paint); Carrier(Air Conditioner); Century Tuna (Canned Tuna); Executive Optical (Optical Shop) Magnolia Chicken (Fresh/ Frozen Poultry); Monterey (Fresh/ Frozen Meat); Pilot (Pen); PLDT Home (Landline Phone Services); SM Supermalls (Shopping Center/Mall); Uratex (Mattress); Mercury Drug (Drug Store/ Pharmacy) LBC Express (Airfreight/ Courier).